Do you aspire to one day jump all over Oprah’s couch, join Scientology, fly a fighter jet, and defuse bombs? Here’s your chance! 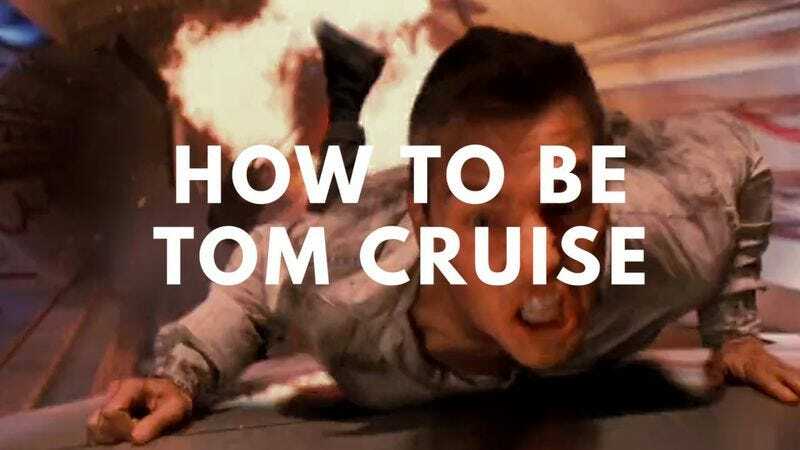 YouTubers Andy Schneider and Jonathan Britnell of Burger Fiction have put together a quick, two-minute course on how exactly to become Tom Cruise, in all his screaming, running, non-blinking glory.